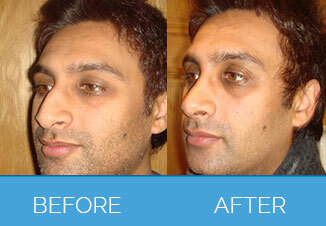 What is Nose Reshaping (Rhinoplasty or nose job) surgery? Many men are unhappy with their nose’s size or shape, perhaps it is large or crooked or maybe they feel it just does not fit in with the rest of the facial features. 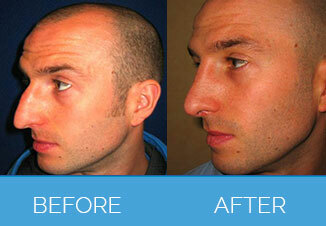 Male tend to have a more prominent nose, straighter bridge and greater width to the middle of the nose. Nose correction surgery is also referred as “Nose Job” surgery or “Rhinoplasty” surgery and can drastically alter the appearance of any men. Reshaping the nose among men is a very common plastic surgery procedure in UK, and can both increase or decrease the size. It involves a surgical procedure to alter the appearance of the nose. 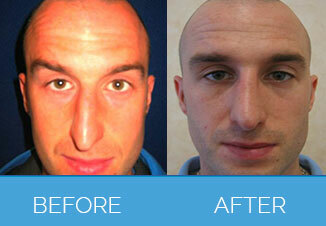 During surgery the cartilage and bones within the nose are reshaped to give a different look. 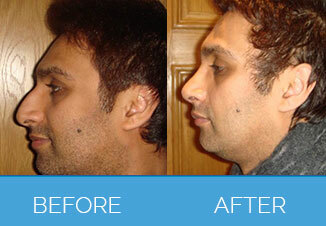 The operation for rhinoplasty among men may involves either making one cut across the skin between the nostrils (“open rhinoplasty”), or tiny cuts inside the nostrils (“closed rhinoplasty”). Nose reshaping procedure is a complex surgery and the surgeons Nu Cosmetic Clinic refer you to will not be in a position to guarantee the results, however they will do their best to give excellent results. Hence, we recommend a careful consideration and thorough consultation and examination with the surgeons before having this procedure. There are no patient stories for Male Nose Correction.